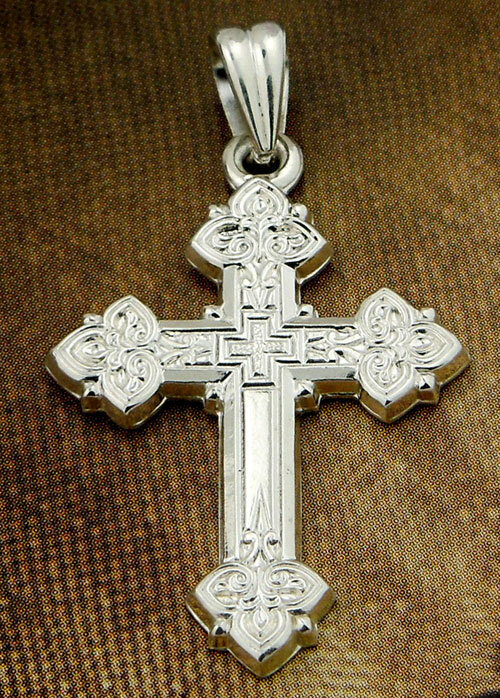 Sterling Silver cross with High Polish Rhodium Finish. SIZE: 1 3/8" x 3/8" including bail. Optional: sterling silver chain, high quality 18" length.